Find something special to write on, then fill it with something special. Lokta paper might just be the most special paper on the planet (we may be a little biased however). It isn’t special because it’s perfect or without blemish. It’s not perfect. Each page is rough, unique, and made by hand. That’s what make Lokta Paper Journals special. It’s like life, rough edges and all. 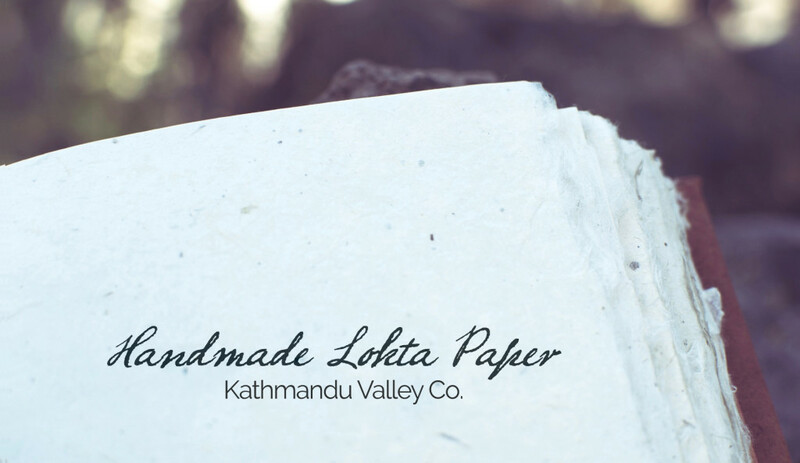 Our Lokta paper is made in the high himalayan mountains of Nepal. The paper is made from the fibrous inner bark of the Lokta bush. Good cuttings stimulate new growth in the plant creating a renewable source for the paper. The bark strippings are cooked into a mash and then spread by hand along boxed screens and set to dry in the himalayan sun. The sheets are then transported down the mountain along traditional paths and carried by pack animals (donkeys, and maybe a yak or two). The pages are then assembled into our journals in Kathmandu. Find something special to write one, then fill it with something special. The sky’s the limit. One of our favorite rustic journals is the Everest Explorer Journal with Lokta paper.